The Modbox concept: build homes for Kiwi conditions that we would live in ourselves, faster and better than traditional building! Our innovative panel board system allows us to create architecturally-designed dream homes for ordinary kiwis. Contemporary design with good aesthetics, yet still maintaining an excellent living environment that is airtight, quiet and warm. 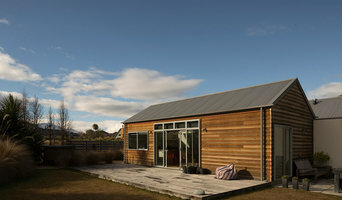 Team Green Architects are committed to creating, quite simply, the best buildings in New Zealand. We are leading the way by demonstrating with every project that beauty; energy efficiency and cost effectiveness can work in harmony. Team Green Architects was established to offer New Zealanders a better solution from their built environment. Our vision is: To help all people live better through excellence in architecture. With Team Green every project makes a difference, to the quality of life for our clients and to the world around us. If you want the most beautiful home that is perfect for you, your family, your comfort, your happiness and the environment, we look forward to helping you build your vision too. 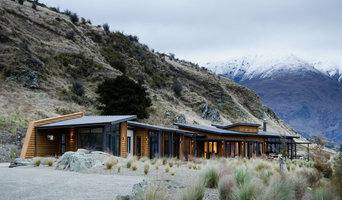 Condon Scott Architects Ltd is an award winning NZIA registered practice based in Wanaka, New Zealand. We have designed a wide range of residential and commercial projects in Queenstown, Wanaka, the Central Otago region and further afield. Currently, the practice employs nine people, with a broad range of skills and nationalities, working closely together in a busy studio environment. Each commission is unique and site-specific and clients are encouraged to be involved throughout the design process. We offer innovative solutions to demanding sites and client briefs. 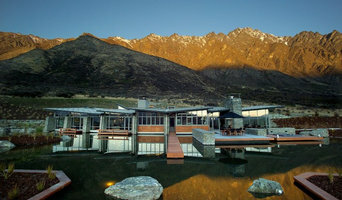 Having completed more than 600 projects in Queenstown, Wanaka & the Central Otago region over the past 30 years we have a wide range of experience in extreme climate, high altitude architecture including numerous ski field projects, and extensive experience with Resource Consent Applications in sensitive (outstanding visual amenity) landscapes. The practice offers strong design based architecture and focuses on marrying client needs with sound building practices to maximise environmental and climate conditions. A small firm offering unique design solutions custom suited to each project, ranging from full architectural design & services to bespoke furniture & fitting design & manufacture. 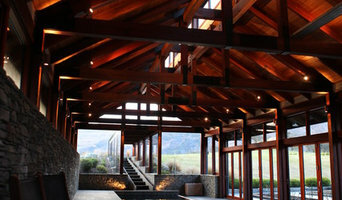 Salmond architecture is based in Wanaka in the Queenstown Lakes District. We are committed to designing high performance buildings that are sustainable over the long term, sympathetic with the landscape and appropriate in their context. We are people focused and work collaboratively with our clients to ensure that we design for both current and future building users. We enjoy working with other consultants and building contractors to ensure quality, time, and cost expectations are met. We are involved in residential, commercial, retail and community architecture. Through a creative design process we help our clients to achieve their vision for new projects. We also consider our responsibility to the wider context in which the buildings we design are placed, involving ourselves in urban design and sustainable design at both a project and community level. We offer affordable, healthy and sustainable solutions for your next house design. 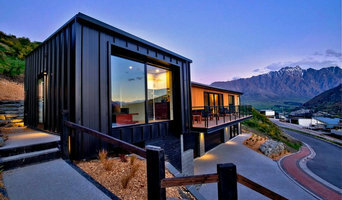 We are based in the Queenstown Lakes District, New Zealand. At Chaney & Norman Architects we create enduring homes that our clients love to live in. We see our clients as part of the design team, and we want them to enjoy the creative process as much as we do. We believe that the journey through every project should be social, collaborative and fun. We are holistic in our approach and believe that great architecture can enhance the well being of individuals and positively contribute to the local community. Our projects are environmentally responsive. We have a strong focus on creating energy efficient homes with a high level of thermal performance. We look for creative solutions using simple materials, blending tried and tested methods with new technologies. We work closely together as a collaborative team, drawing on our collective design experience. Our approach is nimble and flexible, responding to the individual needs of each project. If your renovation is more than a simple benchtop replacement or roof re-tiling job, then it may be time to find an architect in Queenstown who can manage your project from start to finish. Depending on the architecture firm you hire, the scope can span from planning sustainable design into your renovations, to selecting furniture and even interior finishes. An architect is often the first person you hire for your project. Before taking steps to find an architect in Queenstown, ask yourself what you want to achieve from your renovation or home construction. Do you want to improve the liveability and sustainability of your home, or simply expand? What style of architecture do you prefer? Once you have established your motivation, research architects that have completed similar house designs in your Queenstown locale and within a comparable budget to yours. Ideally, your Queenstown architect will be involved in all phases of the design process, from the initial concept to the completed construction. Your architect may be needed to select and hire subcontractors (e.g. builders, engineers and landscape architects) just as they may need to negotiate contracts with stakeholders. A good client-architect relationship will ensure they are your biggest advocate along the way during construction. Find residential architects on Houzz. To find the best Queenstown architect for your home design project, narrow your search to find professionals in Queenstown. Then browse their latest projects and read reviews. You can also look through photos of projects to find an interior architect or designer who has worked on a project similar to yours.